By Jamie A., October 3, 2016 in Have a tip or idea? Proper conversion to community based LED lighting, which reduces energy consumption and decreases the use of fossil fuels. Minimize and control blue-rich environmental lighting by using the lowest emission of blue light. "Despite the energy efficiency benefits, some LED lights are harmful when used as street lighting," AMA board member Maya Babu said in the AMA press release. Medical experts said that white LEDs may be emitting too much blue light, and this can disrupt sleep by suppressing melatonin and interfering with the body's circadian rhythm - the body's natural 24-hour cycle. 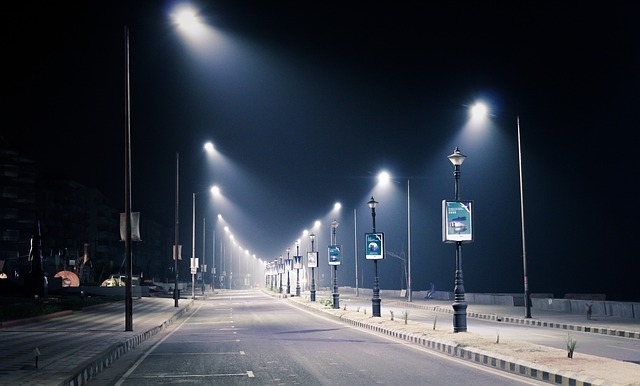 LED is also estimated to suppress melatonin five times more than conventional street lights. The AMA also stressed the potential of LED street lights to cause glare and recommended to reduce the blue wavelengths in the lights. According to the AMA, outdoor lighting at night, particularly street lights, should have a color temperature (CT) of not more than 3000 Kelvin (K). A white LEDs at CT 4000K or 5000K have been chosen to be installed in street lights in cities such as Seattle and New York. However, after these installations, many complained about the harshness of the LEDs. In Davis, California, residents demanded a complete replacement of their LED street lights, CNN reported. A recent report from the World Atlas of Artificial Night Sky Brightness said that street lighting is a major contributor of light pollution. Moreover, bright lighting is known to have a negative effect on wildlife, disturb the migratory patterns of birds and some aquatic animals nesting on shore. Hempstead project expected to deliver two and a half-year payback with nearly $3 million in annual energy savings. Hempstead in Nassau County, just east of New York City, is converting more than 50,000 high-pressure sodium fixtures to LED street lights from Cree. The project is expected to deliver two and a half-year payback with nearly $3 million in annual energy savings and $57 million in total lifetime savings. "The use of environmentally friendly technology is a win-win for the town," says Anthony Santino, Town of Hempstead supervisor. "The new LED luminaires generate significant energy savings that provide unprecedented environmental and fiscal benefits to benefit our town and residents." Hempstead has a population of nearly 800,000, making it larger than some states and US cities. Looking to improve visibility while preserving the historic look of the residential streetscape, the town selected the Cree DPT Series for Decorative Post-Top luminaires. The DPT Decorative Post-Top luminaire is said to deliver a 3000K colour temperature for warm and inviting illumination, and delivers up to 74 percent savings over the earlier technology. The Cree XSP Series was selected for crisp, clean illumination on major roadways, and Cree OSQ flood luminaires with NanoOptic Precision Delivery Grid optics were installed in parking lots, where precise optical control is needed for improved safety and comfort. Recognising the overall savings potential, Hempstead officials worked with Best LED Group and Cree to design, assemble and deploy a full package that would provide a better quality light experience throughout the town. Today, Hempstead has significantly reduced spending for its street and parking lot lighting through reduced utility bills and elimination of virtually all maintenance costs - all while providing better light experiences over the lighting's lifetime. "We had our eyes on LED technology for quite a few years because of the impressive energy savings. However, we had yet to find the ideal package that made economic sense," said Gary Aue, Town of Hempstead, NY street lighting supervisor. "After reviewing Cree's options, we saw there was a lot of money to be saved while providing the town with new lighting for a greater sense of comfort and safety that met all our needs, so we proceeded as soon as possible." The town is looking ahead to additional LED lighting installations in the future, noting their local utility offers impressive indoor rebates and labour costs supplements for LED fixtures. "We're not stopping until the entire town in converted to LED Lighting," said Aue. "Zero maintenance, superior lighting - add in the standard 10-year warranty and it's a sure thing." Public rest areas create the perfect storm of safety concerns for space planners. These areas typically see a high volume of vehicle traffic that is mixed with pedestrians who are walking to and from their cars. Vehicles might contain valuable personal property, and pedestrians might be fatigued or inattentive after a long drive, increasing the risk that both the vehicles and their occupants will be targets for criminals. Public rest areas are often exposed to harsh and varying environmental conditions. LED lighting can help facility planners address these safety concerns. Initially, LED lighting can improve and increase the illumination in all parts of a public rest area. Standard outdoor lighting might create shadows and dark spots as lights overlap or fail to reach the edges of a rest area. A driver whose vehicle is in a shadow might fail to notice a pedestrian who is walking through a shadow, which increases the risk of accidents. LED light fixtures are available with lenses and other systems that give near-pinpoint control over where their illumination is cast. A properly designed LED rest area lighting system will generate a uniform and consistent pattern of light across the rest area, eliminating the accident and collision risks from shadows and dark spots. Improved lighting at public rest areas will also help individuals in those areas to feel safer and more secure, with less fear that danger might be lurking in the shadows. There may be some debate over whether improved lighting has any correlation with a reduction in crime, but the fact remains that individuals are more likely to use a public facility if they feel safer there, and ample lighting communicates a feeling of safety. More legitimate traffic through a public rest area will reduce the likelihood of a dangerous encounter that might occur with smaller numbers of users. LED lighting can create a better impression that a public rest area is safe, which will then become a self-fulfilling prophecy. Entities that operate public rest areas are often under pressure to reduce operating costs, which might cause them to reduce illumination and other services to save utility expenses. LED lighting generates the same or better illumination than traditional metal halide or high pressure sodium lighting with less than half of the electricity consumption. This will allow public rest area operators to keep those areas well-lit at all times to further improve both the impression of safety and the actual safety and security of the area. Light systems in many public areas, including parking lots and roadside facilities, can become damaged from environmental factors, careless drivers, and other similar hazards. LED lighting systems can be configured to give feedback to a central control room regarding the status of individual fixtures and the need for any maintenance. Further, modular LED light systems allow repair and replacement of individual light fixtures with no interruption of operation of other fixtures. Easier and quicker maintenance and repair gives public area operators a better opportunity to keep those areas well-lit and safe. 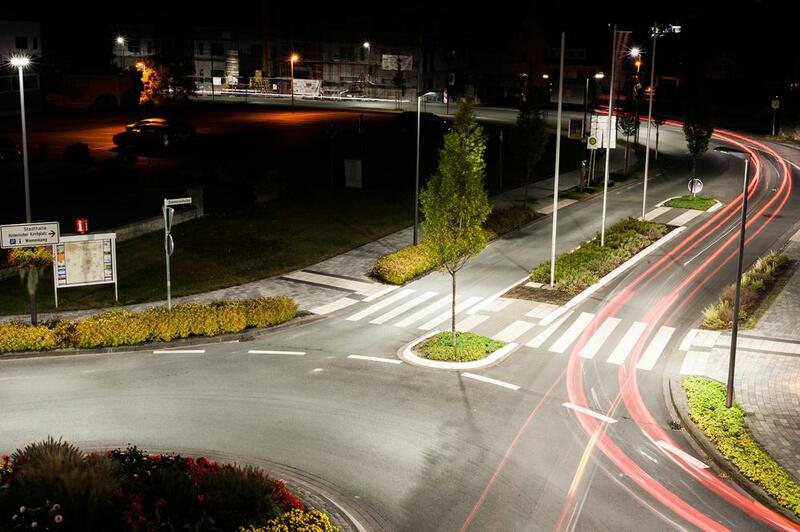 Lastly, LED lights have unparalleled performance characteristics for public area safety. They come to full illumination almost immediately after they are powered on. Next generation LED lights are available in multiple colors and temperatures to generate light that is an optimal fit for any public area with a maximum of safety. Central control systems give operators advanced control flexibility over zones and individual lights, allowing adjustments and fine tuning that was previously unavailable. Public rest areas that incorporate CCTV security cameras will see improved imaging and visibility on camera images as LED lights create better characteristics for camera imaging. Traffic safety engineers, transportation specialists, and auto manufacturers have made remarkable advances in automobile and highway safety over the past fifty years. 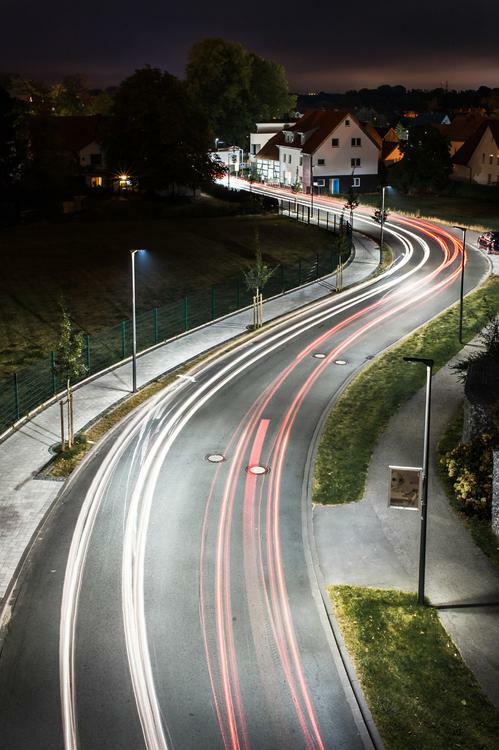 Road planners and municipalities are poised to make another quantum leap in highway safety as they adopt new LED highway lighting or retrofit existing highway lighting with LED technology. A brief overview of LED lighting reveals at least four reasons why LED lights are making highways safer. LED lights can be configured to produce unparalleled beam uniformity with reduced glare. Uniform light beams across an entire highway surface provide motorists with the clearest picture of highway conditions with no dark spots or dimly-lit areas. LED luminaires can be configured in a range of narrow to broad (i.e. types I through V) beam distributions to create uniform road surface appearances that are easy for drivers to navigate and that eliminate any need for a driver’s eyes to continually readjust to varying bright and dark lighting. LED systems can also focus lighting more directly on highways, reducing light pollution that can have adverse effects on neighborhoods near highways and on animals whose nocturnal patterns might be disturbed by highway lights. Traditional metal halide or high-pressure sodium fixtures do not have the multiple optic options, such as dimpled optic lenses, lens diffusers and custom color controls that are available with LED fixtures. These options reduce lighting glare that distracts drivers and that might temporarily blind them to road and traffic hazards. LED lights have superior durability. 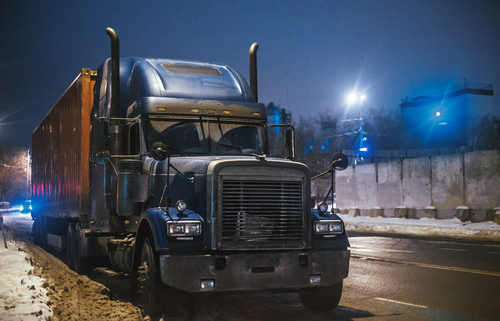 Highway lighting fixtures are exposed to weather, traffic, and environmental extremes that can cause premature lighting breakdowns and degraded illumination over time. Next-generation LED luminaires can withstand these extremes to give consistent performance over a longer period of time with little or no interruption. Because LED fixtures are more durable, they provide uninterrupted operation with fewer maintenance problems. Modular LED highway lighting systems are also more easily repaired with shorter downtimes than traditional highway lighting. LED lights generate full illumination more quickly. LED highway lighting systems come to full illumination almost immediately after they are powered up. This can be crucial at dusk and during bad daytime weather when natural light is limited and highway lights need to be turned on manually to adjust for reduced natural light. LED lighting systems can also be programmed to react to limited daylight illumination conditions. Overall, drivers will have properly lit highways throughout the day with LED highway lighting. Municipalities and road systems that have limited operating budgets might be tempted to reduce highway lighting as a cost-savings measure. 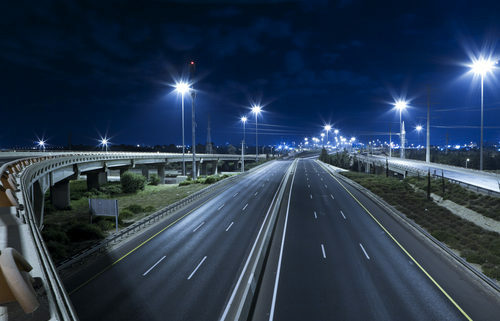 LED highway lighting systems consume less than half of the power that traditional outdoor lighting uses to generate the same or even a better level of highway illumination. Because of the durability of LED lighting systems, municipalities will also realize substantial savings in their maintenance budgets. Those cost savings can be used to improve other areas of highway safety. U.S. cities and municipalities in areas as diverse as Baytown, Texas, and Olympia, Washington are already testing and realizing the safety and other benefits of LED highway lighting. As those benefits become more apparent, the LED industry expects that the pace of adoption and retrofitting of LED lights will increase. To the extent that a “trend” is the direction in which something is developing or changing, switching or retrofitting to LED street lighting is definitely a current trend in cities around the world. In the United States alone, several major cities, including Seattle, Portland, San Francisco, Oakland, Las Vegas, Austin, New York, and Boston, have either switched to LED street lighting or are planning an LED retrofit. Shanghai and Copenhagen have joined the list of international cities that are relying on LED systems to light their streets. The forces that gave rise to this trend are not difficult to understand. LED systems generate the same or better illumination while using less than half of the electrical power that is consumed by traditional high pressure sodium street lighting fixtures. Lower power consumption translates directly into lower utility bills for cities that might be struggling with limited budgets. Newer LED fixtures also provide more than 50,000 hours, and in some cases up to 100,000 hours of operation without failure, which substantially reduces maintenance expenses. A city might be reluctant to retrofit to an LED street lighting system due to high upfront costs, but the cost savings that a city will realize from switching to LED lights will quickly pay for the systems themselves and will generate longer-term economies for those cities. Moreover, as LED street lighting becomes more common, those upfront costs will inevitably drop as manufacturers gain economies of scale with greater production. LED street lights and fixtures can be configured to generate consistent and uniform light across all street surfaces with no dark zones or shadows. This versatility improves the safety of both pedestrians and motorists on city streets. Although some physicians’ groups have commented that the wavelengths of LED street lights are adversely affecting city residents because of their higher concentrations of wavelengths in the blue spectrum (which can interfere with sleep patterns), next generation LED street lighting reduces that spectrum with no degradation in illumination or performance. LED systems come to full illumination almost immediately after they are powered on. They can be dimmed in the middle of the night, when foot and motor traffic is lower, to further reduce electricity consumption. Advanced control systems allow city planners to adjust lighting levels of individual luminaires or groups of fixtures in response to different demands that occur throughout the evening. Unlike traditional street lighting that is generally limited to on-off operation, LED systems provide an almost infinite number of control options. LED fixtures contain no hazardous materials and have a substantially lower carbon footprint, both in manufacturing and operation, than virtually every other type of industrial lighting. Cities that have retrofitted to LED systems have also experienced a reduction in light pollution because LED lighting is more directional, with less leakage of unwanted light into areas outside of the surfaces that a city wants to illuminate. How many workers, and how long does it take to replace 5,000 street lights? Well, let's put it this way: Last month, White Plains and the New York Power Authority started a $3.6 million project to replace all of old high-pressure sodium lights in the city with new LED bulbs. On any given day, weather-permitting, up to four two-member crews are out on city streets, replacing lights. They expect to finish by July. "It's a big job, but in the long run, it will be worth it," said John DiPilato, supervisor of the Bureau of Street Lighting for the city's Public Works department. "The LED lights are cheaper, more durable and use less electricity. We'll save money both on maintenance and electrical costs." Throughout the region, communities are switching over from old sodium lights to LED bulbs, which, thanks to improvements in technology, provide substantial savings. The lights are guaranteed for 10 years and normally last twice that long. They use 30 to 40 percent less electricity than sodium or fluorescent bulbs and throw off what DiPalato described as a "cleaner light" that seems brighter than conventional bulbs. New Rochelle, Yonkers, Peekskill, Scarsdale, Hastings-on-Hudson and Rye Brook are among the Westchester municipalities who have made, or are making the change. "It's happening all over the state," said David Maya, the NYPA conservation program engineer managing the White Plains replacement program. Rye Brook spent $261,500 to replace about 645 street lights last year, in a project that took about four months. They expect to save $48,246 a year on the LED lights. "The replacement of the village's street lights with LED fixtures simply makes sense for the community," said Christopher Bradbury, the village manager. "It decreases our carbon footprint, provides more energy efficient lighting and also provides significant long-term savings for the taxpayers." 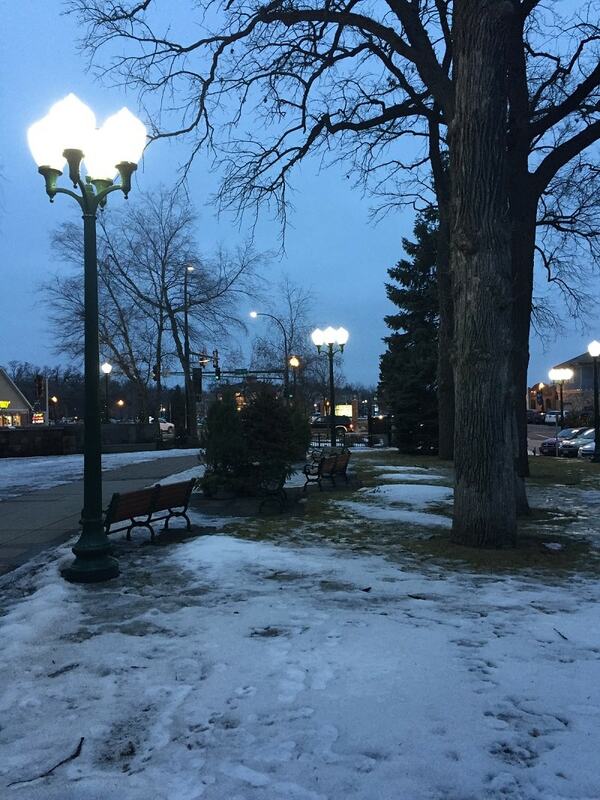 Bradbury said the village plans to repair and retrofit Rye Brook's 81 "decorative" street lights in the downtown area with LED lighting during the 2017-18 fiscal year, at a cost of about $50,000. Yonkers launched its street light replacement program in 2013 and continues to make progress in switching 18,000 sodium "Cobra Head" lights with LEDs, for a 10-year projected savings of $18 million. Working with NYPA, the city has also changed the bulbs in municipal buildings and is now making the switch in schools, for a total of 30,000 lights in all. The program has been so successful that Mayor Mike Spano spoke about it in his state of the city address in March, saying it continues to reduce Yonkers' carbon footprint and energy bills, "not to mention all the time we save by not having to constantly replace bulbs." In White Plains, officials estimated LED street lighting will save $2.2 million over the next decade. DPW Commissioner Rick Hope said the city spends about $25,000 a year on conventional street light bulbs, a cost that will all but disappear. And while sodium street bulbs go for about $375 each, the LEDs cost $250 to $300, depending on the wattage. On Old Mamaroneck Avenue on a recent weekday, DiPalato looked on as an electrician in a bucket truck replaced an old fixture with a new LED model, with a helper handing him tools and wire as needed. He said the LEDs are standardized and easily adaptable to the sodium bulb sockets. Each street lamp takes 8 to 15 minutes to change over, unless old, cracked wiring also needs to be replaced. "We're already finished with the downtown lights, and now we're working in the residential areas," he said. 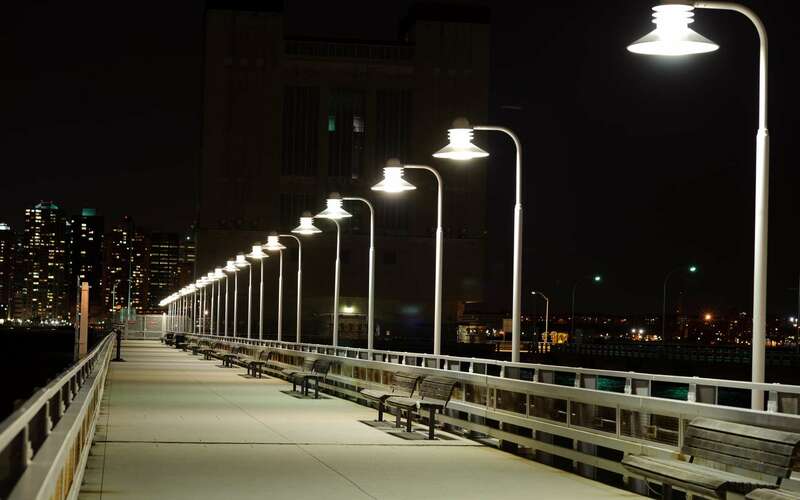 New Rochelle began replacing sodium street lights with LEDs in the fall of 2015 and, nearly 6,400 bulbs later, is almost finished, said Public Works Commissioner Scott Pickup. Updating the lights was one of the recommendations included in GreenNR, the city's sustainability plan. The project is projected to save New Rochelle $3.3 million over the next seven years; the savings in 2016 are estimated at $531,00, "so we're right on track," Pickup said. 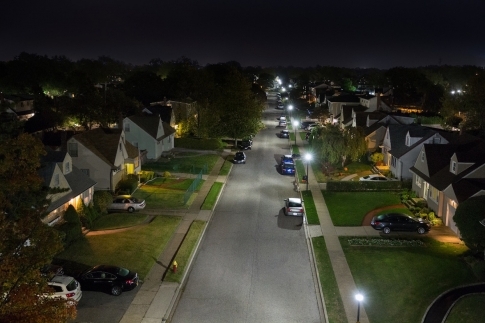 "LED streetlights have been a triple win for New Rochelle, bringing lower costs, greater energy efficiency and reduced greenhouse gas emissions," said Mayor Noam Bramson. He said municipalities aren't alone in the savings, and encouraged "residents and businesses to join us in taking advantage of the significant benefits associated with LED technology." Peekskill switched out about 900 of it's 1,000 street lights last year and plans to finish by replacing the downtown decorative lights with LEDs, now that spring has arrived. Although information on costs were not immediately available, "it was a substantial savings, electrical cost savings to the city," said Brent VanZandt, the city's public works director. DiPalato, a 33-year veteran of the White Plains DPW, chuckled at the idea that he'll be long retired when the LED bulbs he's installing now need to be replaced. "It's a good thing," he said. "These long lasting lights give us more time to do other things that need doing, and will save a lot of money for the city. I'm a White Plains guy. Been here all of my life. I think I'll feel good seeing them still shining years from now. I'll be proud, knowing I was part of this project." Internet of Things pioneer Echelon Corporation is currently conducting what is believed to be the first successful deployment of so-called “white tunable” connected streetlighting with the municipal leaders of White Bear Lake, a suburb of St. Paul, Minnesota and design firm Short Elliott Hendrickson Inc. The new Lumewave by Echelon® solution can dynamically regulate the amount of potentially unhealthy blue light emitted from outdoor lighting. With this ground-breaking innovation, city managers can adjust streetlight color from soothing warm yellow to bright blue-white based on activity levels, time of day, weather and events. Dimming levels can also be remotely adjusted, making the system ideal to aid visibility for first responders, security professionals and more. This next-generation, connected LED lighting control technology enables municipalities to realize the full scope of LED streetlighting benefits, from improved public safety and reduced energy consumption and reduced maintenance and costs, to better health, quality of life and environmental comfort. White Bear Lake’s successful implementation of Echelon’s new technology is an example of the company’s commitment to foster safer and more comfortable cities through IoT-enabled connected lighting. The American Medical Association issued a policy statement about the harmful effects of outdoor high-intensity, LED lighting on humans and the environment. The guidelines put forth a recommendation for communities to control blue-rich lighting to reduce glare and discomfort. The AMA also warns that the blue-rich LED lights can suppress melatonin, which can negatively impact human circadian rhythmicity causing poor sleep quality, among other health concerns. According to the guidelines, outdoor streetlighting should have a color temperature of no greater than 3000 Kelvin (K) at nighttime. While many municipal leaders and sustainability managers may feel the pressure to make the right choice, Echelon has engineered a solution that doesn’t force people to choose one set of LED streetlight benefits over another. Echelon is the first to give municipalities the power to adjust the white color and brightness level - as needed. In a first-of-its-kind demonstration, the forward-thinking leaders of White Bear Lake were able to adjust both the light level and the white color range in its city park lighting. By being able to tune from warm white (2700 Kelvin) all the way to cool white (5500 Kelvin), city managers can modify outdoor lighting to enhance quality of life without compromising visibility or public safety. A warm white of 2700K was preferred for times with low activity, while higher color temperature of 4500K was deemed to provide better visibility for times with higher activity and during public events. 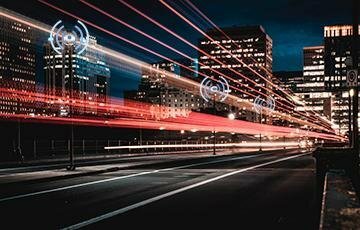 Echelon’s smart streetlighting infrastructure serves as a platform that allows smart cities to integrate IoT applications as needed. Coming together to create this next-generation infrastructure is Echelon’s new CLP 4000 connected lighting controller, SmartServer™ 2.2 converged universal gateway and LumInsight® central management system (CMS). The combined solutions can set color scenes based on a programmed schedule, sensor inputs or manual adjustment. Based on customer interest, Echelon expects to make this new solution available more broadly in 2017. 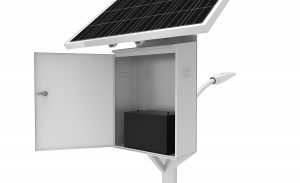 Sedna Lighting has today announced the launch of their new solar street light that aims to provide powerful lighting without the expense of high energy bills. The outdoor streetlight is a new generation of solar-LED lighting that is designed to complement greener energy while giving people light on the road, in the garden or on their driveway. The new design brings solar powered lighting into the 21st century and is already helping residents and business owners to provide powerful lighting while at the same time cutting down on their energy bills. The Solar Panel that features that latest polysilicone technology is so powerful that it can be used for small roads, urban areas, and even car parks. 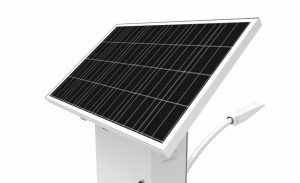 The stylish Sedna Solar street light does not only provide greener energy and helps businesses and homeowners and even local authorities to reduce their energy bills, but it is also affordably priced to encourage more people to turn to greener energy. 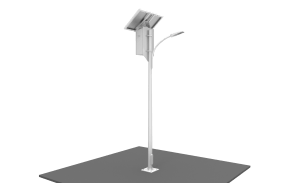 Since being launched, the Sedna Solar street light has gained huge state-wide exposure with some gadget experts reviewing the new product as one of the most exciting solar lights on the market. 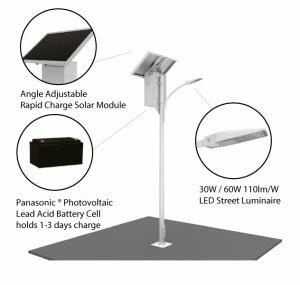 Customers who have purchased the street light have said they could not believe how powerful the light is and did not expect a light that is run from solar energy to produce so much light. The Solar PV LED Street Light is a real alternative to wired lighting. It is much more cost effective, not only in the short-term but also in the long term, which means consumers and businesses are saving money from day one. Delbrück upgrades to innovative LED streetlighting Streetlight 10 LED luminaires from Osram enable the town of Delbrück to simply upgrade to innovative and cost-saving LED technology. High-efficiency Siteco Streetlight 10 LED luminaires were used to modernise streetlighting in the German town of Delbrück. Up until 2018 a total of 351 linear luminaires with T8 fluorescent lamps, mainly cambered mast luminaires from the 1970s, are to be converted to LED lighting. In a first step in 2016, 119 light heads were replaced with Streetlight 10 LED luminaires as a simple and cost-saving upgrade to latest state of LED technology. Energy savings of 25,000 kilowatt hours will be achieved annually by this alone, providing CO2 savings of approximately 295 tons over the complete service life. 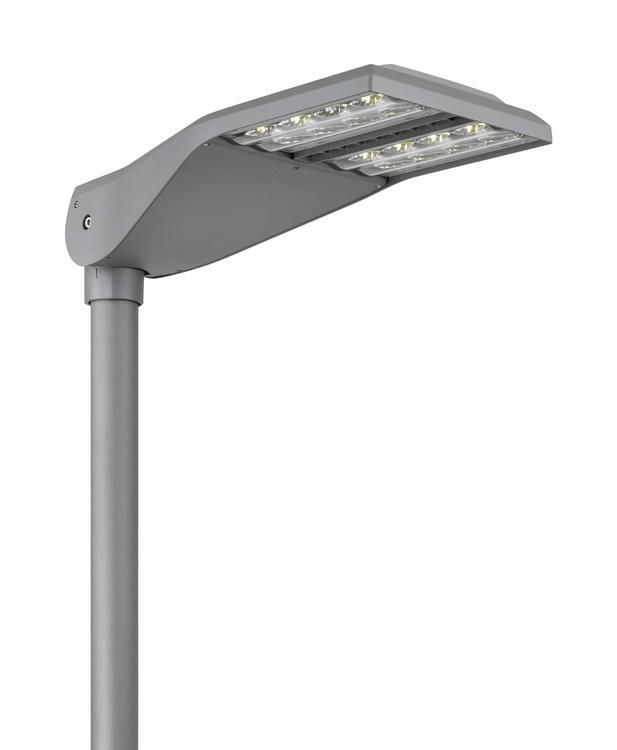 The Delbrück project is subsidised by the German Ministry for the Environment, Nature Conservation and Nuclear Safety (BMU) because the Streetlight 10 LED luminaires from Osram Lighting Solutions meet the specification of achieving at least 70% in energy savings compared to the obsolete lighting system. The innovative family of LED luminaires not only features highly efficient technology and long-term, economical operation but also especially simple and cost-saving modernisations – masts are kept during the refurbishment and only the light heads are replaced. Also in terms of performance, quality of light and control options, Streetlight 10 LED luminaires comply with all requirements of the company commissioned with lighting design and project management, Westfalen Weser Netz GmbH. They ensure high-output lighting compliant to standards, low glare, good colour rendering, low connected load and enable night-time power reduction. The visual aspect of the new lighting solution was also an important factor for the decision-makers. The LED luminaires not only had to fulfil specific lighting tasks according to mast dimensions and location, but also belong to a common luminaire family with the same, attractive design features. Luminaires from the Streetlight 10 LED range with their diverse variants in terms of construction size, wattage and optics fulfil these requirements. 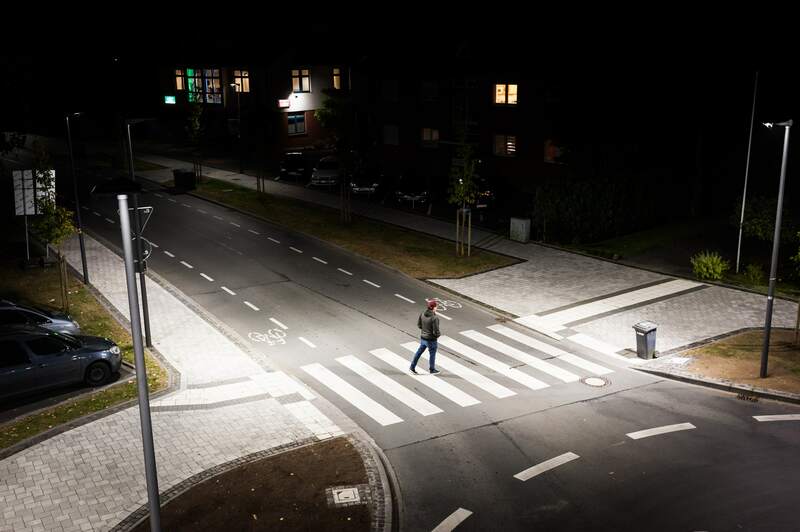 In Delbrück, Streetlight 10 Mini and Midi each with the ST1.2 street reflector are used, in addition to Streetlight 10 Midi with an asymmetric optic providing light distribution to the right for pedestrian crossings. Delivers One of China’s Major Smart City Projects Using Standards-Based RF Mesh and IPv6 Technology in Guangzhou to Help Reduce Energy Consumption; Announce New Joint Integrated Lighting Controller to Drive Further Momentum in China. 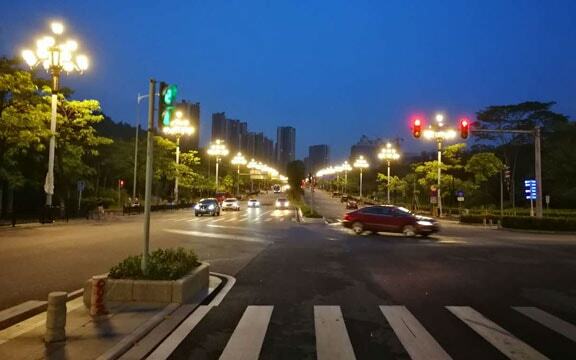 Guangdong Rongwen Energy Technology Group (Rongwen) and Silver Spring Networks, Inc. (NYSE: SSNI) announced their selection to connect smart LED street lights in Guangzhou, China. Through its go-to-market partnership with Rongwen, one of the largest smart LED street light providers and operators in China, Silver Spring is planning to network more than 30,000 LED street lights in Guangzhou. According to Rongwen, its efficient and patented LED street lights and outdoor lighting controls, combined with Silver Spring’s StreetLight.Vision (SLV) Central Management System (CMS), will increase the city’s energy savings by more than 70%. The project is China’s first smart city project using Silver Spring’s secure, reliable, IPv6 platform and Wi- SUN® standards-based mesh technology, built on the IEEE 802.15.4g specification. further accelerate the delivery of Silver Spring’s IPv6 platform and solution to the growing smart city industry, today Rongwen and Silver Spring also announced the availability of the Rongwen D-ONE Wireless Outdoor Lighting Controller. The D-ONE integrates Silver Spring’s network interface cards (NICs) into Rongwen’s outdoor lighting controller to help monitor and control the brightness of the lights based on pedestrian and vehicular traffic, time of day and weather. The D-ONE utilizes a standardized 7-Pin NEMA Socket and collects a variety of energy usage information including voltage, current, lamp burning hours, and temperature. The D-ONE also integrates with SLV for seamless configuration, monitoring and real-time control.